Dinner at 38 Degrees, on the south side of Colorado just east of Myrtle. 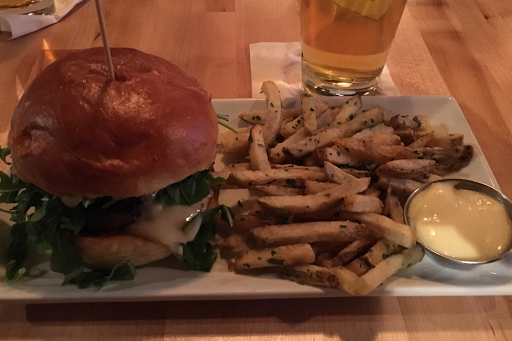 Got the Thirty Eight burger for $14 and a beer for $7. Nice burger.